NAMI CCNS is proud to introduce “Ending The Silence”, a 50-minute presentation for middle and high school students to help them understand mental illness. The program teaches them common warning signs and when, where and how to get help for themselves or for their friends. During the presentation, they hear the reality of what living with a mental health condition is like directly from a young adult with lived experience. 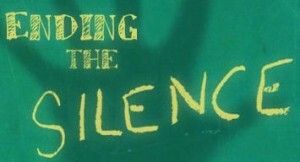 Ending The Silence is especially designed for high school audiences and is typically presented in the freshman/sophomore health classes during the mental health portion of the curriculum. This interactive program which provides key resource materials for students, seeks to inform them about the basic signs and symptoms of mental illnesses and reduce the stigma through personal stories. The informational and interactive power point is the first part of the presentation and the personal story is the second. The last few minutes of the class are for evaluation and Q & A. “Mood Pencils” are used as incentive for students to ask questions. These change color with the heat from your hand and have the NAMI CCNS contact information on them. The students also get a brochure from SAMHSA, “What a Difference a Friend Makes”. There have been students who have seen the presentation and directed their parents to our Parent Support Group and Parent Education Class. With Ending the Silence, we have a great educational tool for students. Evaluations from the past year and a half have been overwhelmingly positive with student comments like the following, after one high school presentation.